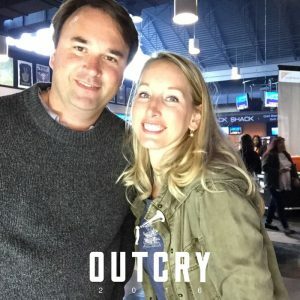 Hi, I’m Jenn, writer of GoingByFaith. When we go by faith, we release the controls and trust God. And that doesn’t always look pretty. It doesn’t always happen the way we think it will happen. Taking steps in faith can entail plenty of awkward and challenging struggles. Do you have support for your journey? This is a place for Christians who can use some encouragement along the way. If you’re taking steps to become free from fear, guilt and worry and you’re not afraid to look inside and ask the tough questions, you might like it here. As an ever-growing Christian, wife, mother and writer, I love this ministry. I love how God’s Word opens our eyes, offers us comfort and gives us direction in life. It’s a blessing to share that with others in personal ways. But for years I wanted to hide. Who was I to encourage other Christians? Didn’t I need to be a pastor to write about faith? I felt scared and disappointed by my past mistakes and allowed that fear to keep me small. But letting go of that fear taught me that there’s a much bigger picture; something way beyond me. After all the years of searching, after all the hours spent reading mountains of self-help books and after all the money spent on counseling, I finally broke and came to Jesus. That was when everything changed in my life. The Lord gave me an enormous heart for the anxious and broken, having suffered with anxiety myself and understanding how tormenting it can feel. After all the time spent trying to hide that part of me, He showed me how that transparency can help others. I’m still learning. Here’s some of my testimony: Hearing the Call. Lord, guide and lead me in these written words as I seek to live them myself. Show me where to go with all of this. Let these words empower others to hold on to their faith in the face of trials or tough times, realizing it’s not a once and done thing, but a continual choice. Show us how to look behind the curtains of our hearts to see what’s really there; move us forward with your Word and guidance. Are you ready to go by faith? Of course you are! May God bless you in your courage.